This post is a little more personal than many of my previous posts. Today my daughter had ear surgery to correct a hearing loss that she has had since she was born. 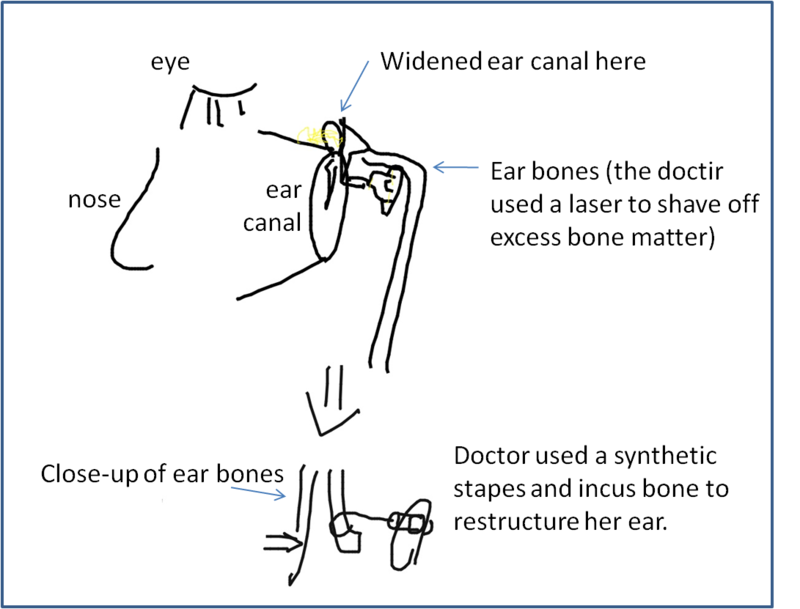 She has always worn hearing aids and struggled more than most to learn to hear and speak, but we recently learned of an innovative surgery that will correct her hearing. It has been an incredible experience and we are grateful for the blessing of having our little girl be able to hear again. As an instructional technology geek, I couldn't help but get a little excited at the doctor's use of technology to teach us what he did during the surgery. Below is an image that he drew for us on his i-pad just after the surgery. He emailed the image to me and I have added the text to replicate what he said as he explained the simple image to us. As a technology lover, I am just blown away by the powerful technologies that have blessed my life. Most important were the technologies that have given my beautiful 8-year old daughter an increased capacity to hear and live life with greater advantage. The incredible combination of skill, technology, and knowledge is miraculous to me. 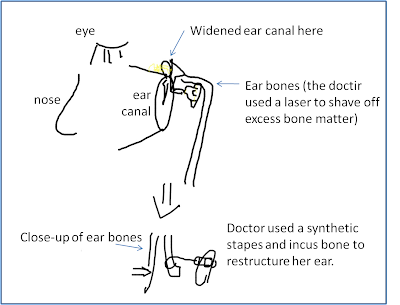 And (as an instructional tech geek) it was a pleasure to see technology used in an innovative way to teach us how our daughter's ears were improved.